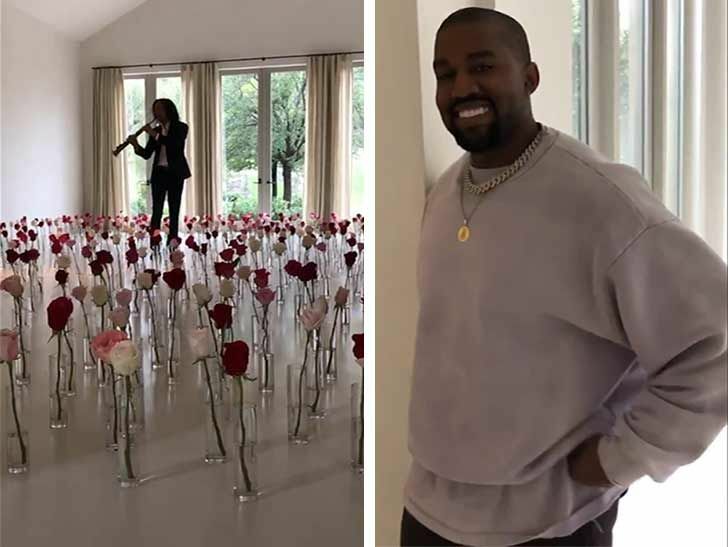 Kim Kardashian West is having an unforgettable Valentine's Day … courtesy of baller hubby Kanye West and the legendary Kenny G !!! 1; sans furniture … and Kim is loving every minute of it! Sure, the sweet sounds of Kenny G on the sax are amazing … but perhaps even more impressive are the dozens and dozens of leafless multi-colored roses filling out the room. Way to go, Ye! Kim is giving it up to her husband for the over-the-top surprise, handing him the best husband award for what she says is one of Kanye's most thoughtful gifts ever !!!! That's a hard act to beat. Lovers, take note.